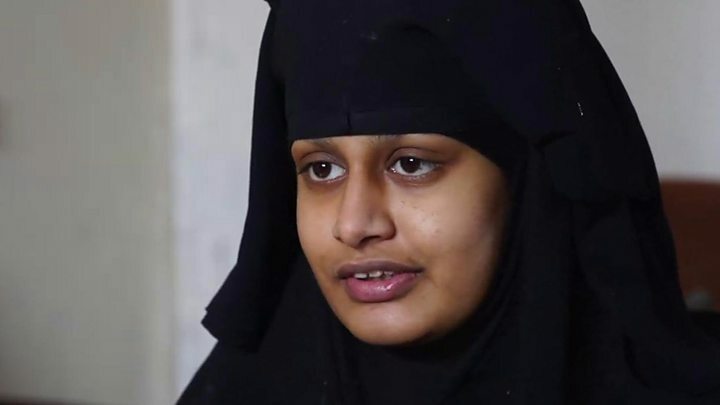 Media captionAhmed Ali on his daughter Shamima Begum: "She has done wrong, whether or not she realised it"
Shamima Begum's father has apologised to the British public for his daughter's decision to join the Islamic State group (IS). Ahmed Ali said Ms Begum, who travelled from London to Syria aged 15, had "done wrong, whether or not she realised it". 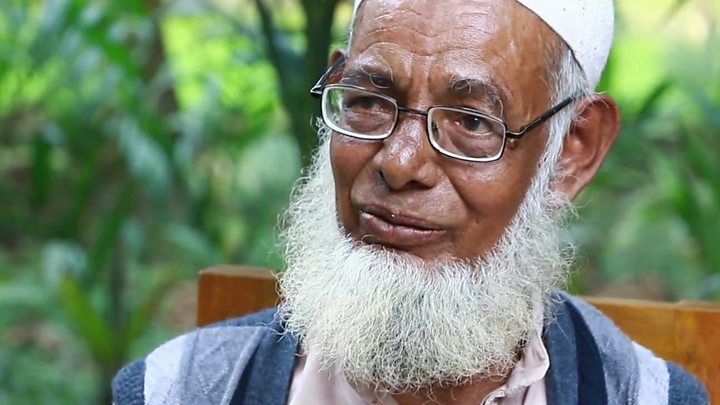 Mr Ali spoke to the BBC in a village in north-eastern Bangladesh before he found out Ms Begum's baby son had died. He said the UK should allow his daughter to return home, where she could face prosecution. Ms Begum had her British citizenship revoked by the home secretary after she asked to return. Ms Begum - who left the UK in 2015 - was nine months pregnant and living in a Syrian refugee camp when the Times newspaper found her in February. She said she did not regret joining IS, but that she felt the "caliphate" was at an end. Shortly after the birth of her son, Jarrah, she told the BBC she wished her child to be raised in the UK. But Jarrah died of pneumonia on Thursday, according to a medical certificate. He was less than three weeks old. As Jarrah was born before Ms Begum was deprived of UK citizenship by the Home Office, he was considered British. Media captionShamima Begum told the BBC she never sought to be an IS "poster girl"
Referring to Ms Begum, Mr Ali told the BBC: "She has done wrong, I apologise to everyone as her father, to the British people. "I am sorry for Shamima's doing. I request to the British people, please forgive her." Mr Ali, 60, pointed out his daughter was a child when she travelled to Syria. "She was under age at that time, she couldn't understand that much. I suppose someone influenced her to do that," he said. "I admit that she has done wrong, whether or not she realised it." He urged the British government and public to "take her back and punish her if she had done any mistake". Asked whether he knew Ms Begum was being radicalised, he said he had "no idea". In recent years he had lived mainly in Bangladesh, he said, visiting London for periods of between two and four weeks. "I do not stay there more than that. I do not know much about her [lately]," he said. "The time I stayed with Shamima, I never felt any such behaviour of going to Syria or joining IS." Mr Ali was looking frail, anxious and worried. He was surprised to hear that we had come all the way from London to talk to him. He preferred to speak in his native Bengali language than English and he sounded very worried about his daughter's future. He couldn't explain how she got radicalised. But at the same time he also questioned how British immigration allowed her to travel on someone else's passport. Living far away from the media gaze, Mr Ali seems to be living a quiet life with his second wife in Dawrai, a picturesque village in the district of Sunamganj. His house was surrounded by coconut and mango trees and lush green paddy fields. A single track road, most of it potholed dirt track, leads to the village. Chickens and other birds were chirping all the time. For Mr Ali, it must be a different world compared to his other home in noisy east London. The home secretary has been criticised for refusing to allow Ms Begum to return to the UK with her child. Ms Begum's sister, Renu, wrote to him two weeks ago on behalf of the family challenging the decision to strip her of her citizenship - which she described as "her only hope at rehabilitation". Ms Begum blamed inhospitable conditions in Syria for the deaths of two of her previous children. In three months, more than 100 people have died on the way, or soon after, arriving at the camp, with two-thirds of those dying aged under five.